Toilets are only meant for one activity, and you know what we are talking about. When the wrong thing is flushed, results can include costly backups on your own property or problems in our sanitary sewer system and lift stations. 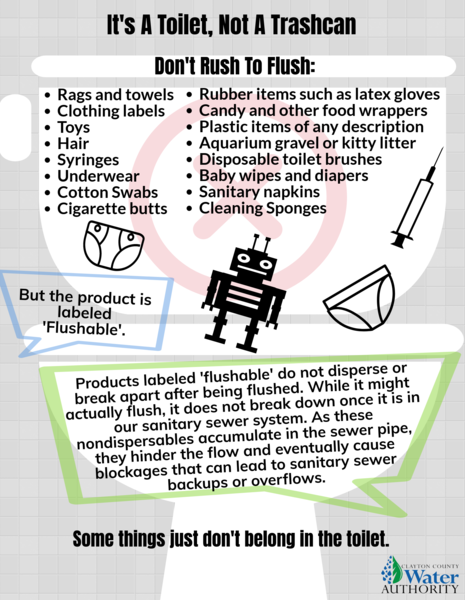 That is why it is so important to treat toilets properly and flush only your personal contributions and 2 ply toilet paper to the local water reclamation facility.